More than thirty new, and, as yet unclassified, species of marine life were discovered during a science expedition to the Amundsen Sea off Pine Island Bay in Antarctica. The Amundsen Sea is one of the least explored areas of the Southern Ocean. It contains several deep troughs and basins formed during previous ice ages. Some are more than 1,600 metres deep. 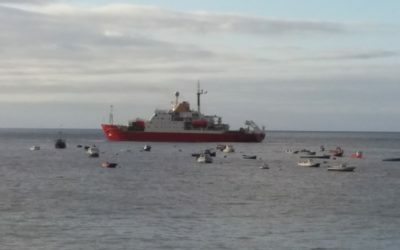 In 2008 a team of marine biologists from British Antarctic Survey (BAS) and collaborating institutes took part in a summer research cruise on the RRS James Clark Ross to study the sea-bed fauna in the area. Their findings are now reported in Continental Shelf Research following a lengthy period in which experts from all over the world were asked to help identify the animals. The process of categorisation is still going on. The Amundsen Sea Embayment can be difficult to access since, for most of the year, it is covered with sea ice. But summer sea-ice extent is declining and, during the months February to April, the scientists were able to navigate right up to the continental ice-shelf edge and carry out a number of trawls. A total of 5,469 specimens, from 275 species, were brought to the surface. As well as the new species, some of those recovered had not been seen in Antarctic waters before. Echinoderms were the most abundant of these. This group includes starfish, sea urchins and sea cucumbers. Among the new species to Antarctica was a bathysciadiid limpet which was found feeding on the beak of a dead octopus. 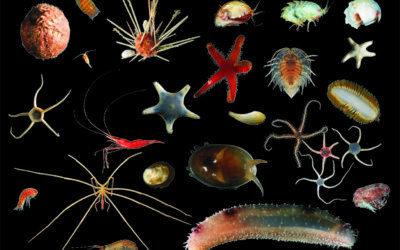 What surprised the scientists was the extent of the various communities living in the deep troughs. It’s thought they may have taken refuge in them during past periods of glacial expansion. 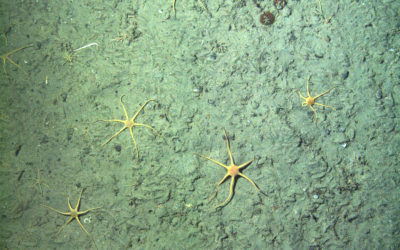 “Unlike many other seas around Antarctica, the Amundsen Sea shelf was not dominated by large sedentary sponges but instead by mobile echinoderms (starfish, urchins, brittlestars and sea cucumbers) and a community of similar animals which inhabit the on-shelf basins. The Amundsen Sea is an area of rapid change due to ice shelf breakup. Until now we knew nothing about the benthic fauna living here. Our recent study gives us a first insight into the biodiversity of this region and can serve as a baseline to observe future changes. The macro and megabenthic fauna on the continental shelf of the eastern Amundsen Sea, Antarctica by Katrin Linse, Huw Griffiths, Dave Barnes, Angelika Brandt, Niki Davey, Bruno David, Sammy De Grave, Cédric d’Udekem d’Acoz, Marc Eléaume, Adrian Glover, Lenaïg Hemery, Christopher Mah, Rafael Martín-Ledo, Tomás Munilla, Mark O’Loughlin, Benjamin Pierrat, Thomas Saucède, Chester Sands, Jan Strugnell and Peter Enderlein. 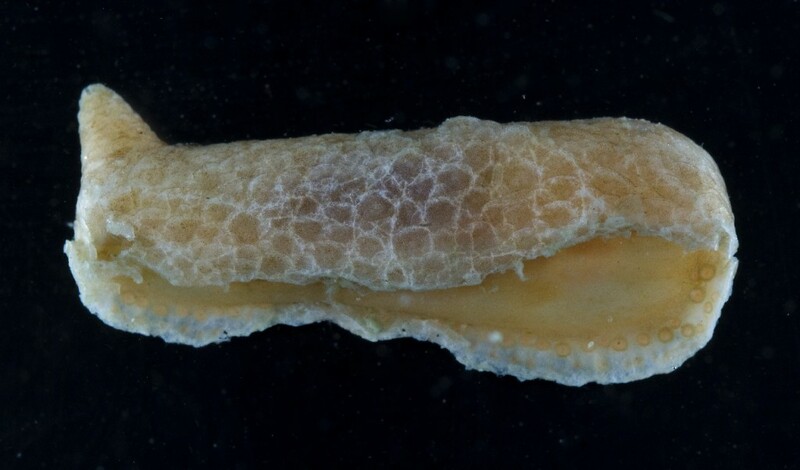 An armoured benthic sea cucumber (holothuroid) from 500 m depth on the Bellingshausen Sea continental shelf. These are normally associated with hard surfaces, such as boulders. The strong calcareous plates on its dorsal and ventral surfaces hold its shape even when desiccated. 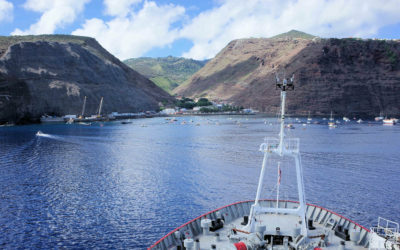 Images taken onboard RRS James Clark Ross cruise JR230 (benthic pelagic coupling cruise).